Tired of boring routine? I would like fun and positive emotions? You can not sit still? Do you love to light the full program, along with friends and associates? 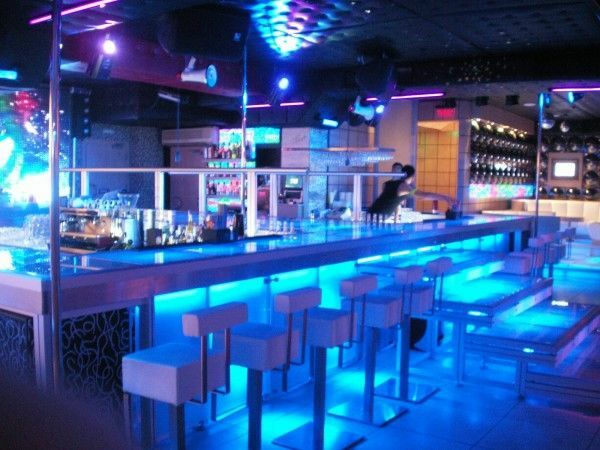 You choose for their get-togethers only stylish, trendy and vibrant clubs? Then you are exactly on another planet! No, not in space, but in the new capital club, which is called "Dance Planet NightClub".In the capital, it opened recently, but has rightly bears the status of a new, high-quality recreation area. Why he deserves your special attention? It's very simple. First, the club is aimed at those who love the club and the Kindle, knows a lot about the new trend of club life. Fashion DJ - Disc Jockeys will not let you relax. This means that there is a noisy bustling nightlife, you can dance, relax and make new friends. Second, the club is the official place of exchange of energy between the di - Jays and fans of modern dance music. Here, visitors are sure to find like-minded people as they are for active, energetic and exciting vacation filled with music, drive and desire to plunge into the world of dance and the most incredible fantasies. In short, the most fashionable and advanced public visits is "Dance Planet". The third reason. On the "planet" is always only the original parties. We assure you that such a party you have not yet participated. And more! They can not be skipped, or consider that you are past the most interesting club events. And it's not an allegation. However, come and see for yourself. Plus, add to that the nice thing - personal service. This means that as soon as you step into the club, you will find yourself in the area of ​​increased attention. Polite club staff will gladly help you to fully enjoy the club relaxation. As already mentioned - on "Dance Planet" is easy to realize any wish associated with comfort and relaxation at the same time besbashennym.In short, come and call me with their friends! Moldova, or. Chisinau, bd. Renasterii 33/1. You are always welcome here every day, starting from 22:00. Comment and share with Friends on Facebook! http://lalovesedm.com/nightlifeGreat blog post! I don’t understand how long it will require me to obtain through all of them! Great party pictures of dance club, but hey friends, have you ever seen party at best dance club nyc Club? Its amazing ambience there and you will feel really comfortable there. It’s my favorite spot for parties with or without my friends. Copyright © 2013 - 2014. Night Clubs .All right reserved.